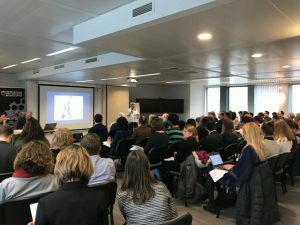 On the 22nd March 2018, London Higher Europe attended the first event of the UniLion Brexit Working Group, entitled ‘Brexit: Towards a Changing Relationship between European and British Universities?’ The event was centred on a report, drafted by members of the network with evidence drawn from a pan-European survey and launched on the day. The report summarised attitudes of European Universities towards Brexit and the challenges it poses with regards to continued scientific collaboration with the United Kingdom. The raw data for this report came from a survey of over 20 European Universities covering 8 countries. A high-level panel, made up of representatives from the European Universities Association (EUA), The Russell Group of Universities and the European Policy Centre (EPC) discussed the findings and made some suggestions for how Research Institutes might frame their attitudes towards the United Kingdom in light of the realities of Brexit. The discussion and Q&A was chaired by Richard Tuffs, former Director of the ERRIN regional network. The report’s finding were presented by Charlotte Eide, Norwegian University of Science and Technology (NTNU). 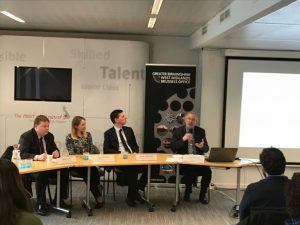 This presentation was followed by a short address from each panellist, outlining some varied perspectives on the future of EU-British research cooperation. – 90% of the respondents say that they are willing to continue the collaborations they have with the UK or instigate new ones. – 85% view the UK government’s current commitment to underwrite funding as positive, but the security is only temporary and does not guarantee future collaboration. – 85% of the respondents think that Brexit will have a negative impact for their institution. Overall, and in spite of some clear challenges, the report outlined a belief that collaboration will always find its way and that the reduction in competition that could follow Brexit would negatively affect the quality of research conducted at the European level. The evidence showed that most respondents saw clear disadvantages for both European and British universities and the panel members encouraged both sides to continue making the case for minimising these disadvantages. Joanna Burton, the Russell Group, summarised the preference for associated member status in future European Framework Programmes, something we at London Higher Europe also call for. Thomas Jorgensen, EUA, built on this position, expressing the clear desire of European Universities to continue their collaboration with British partners. Finally, Fabian Zuleeg, EPC, spoke of the harsh realities of what Brexit could mean, if we do not work hard enough to raise the profile of scientific research in the negotiations. Only a joined up approach, from both UK and European institutions, can work in ensuring research is seen as a high priority in the months and years ahead. In short: both sides have something to lose from Brexit, and the stakes are high. The event was well-attended and a great success, with an engaging discussion on the challenges of Brexit ensuing during the Q&A. 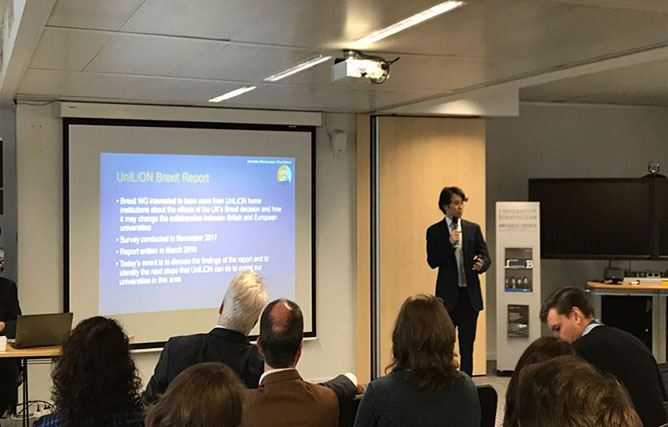 Read the UniLion report below, as well as presentations from White Rose Brussels and EUA. Email secretary@unilion.eu for more details about UniLion, as well as staying informed about its thematic event planned for October 2018.